Yves Logghe/APFiat and Chrysler CEO Sergio Marchionne. A combined Fiat and Chrysler will reportedly seek a listing on the New York Stock Exchange this year, following the Italian car maker's agreement to acquire full ownership of Chrysler. Earlier this week, Fiat announced a long-awaited deal to buy the 41.5 percent of Chrysler it doesn't already own for $4.35 billion. The successful end to negotiations with VEBA, the UAW health care trust, concluded a dispute over the value of its minority stake. The pending merger of the Italian company and Chrysler will scrap the Big Three automaker's IPO plans. But according to the Financial Times, the auto group's emergence as a U.S.-centric organization may in fact culminate with an IPO in 2014. Combining the two car manufacturers will increase Fiat's debt to 10 billion euros excluding pension contributions, %VIRTUAL-article-sponsoredlinks%based on a recent research note from Citigroup (C) analyst Philip Watkins. In order to ease that debt load, a fully merged Fiat-Chrysler could issue a convertible bond in tandem with a NYSE listing, the Financial Times reported Friday. The newspaper, citing banking sources, also said Fiat-Chrysler will reshape the group's corporate structure to reflect its global footprint. Spokespeople for Chrysler and Fiat declined to comment on the report. CNH Industrial, Fiat's sister company that makes heavy machinery and vehicles, would be used as a template for corporate structure. The industrials group is a Netherlands-registered company that is listed in New York and Milan. 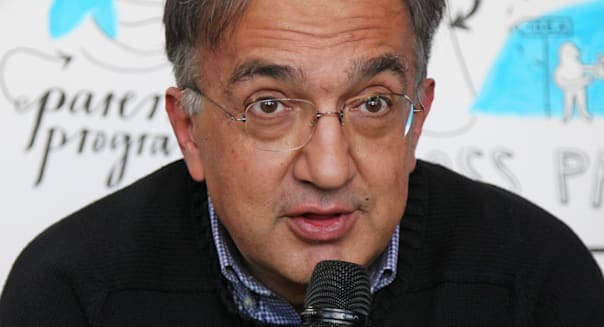 The report also said people close to Sergio Marchionne, the current CEO of both Chrysler and Fiat, expect his three-year plan set to be unveiled in the spring to be his last.